Higher Education In Malaysia - Do You Have Alternatives? Do Higher Education In Malaysia - Do You Have Alternatives? We see gaining access to “Education” as a most fundamental human right. Denying a person to further education is violating to human right. Due to limited seats in public universities, many students in Malaysia might not able to study the subject of their choice. Coupled with exorbitant and escalating cost of private university education in Malaysia as well as overseas, these has prevented many Malaysian families with average income send their children to gain access of high quality education abroad. Traditionally, Malaysia students who wish to study abroad will prefer western countries like Australia, U.S., Canada, NZ and the UK . 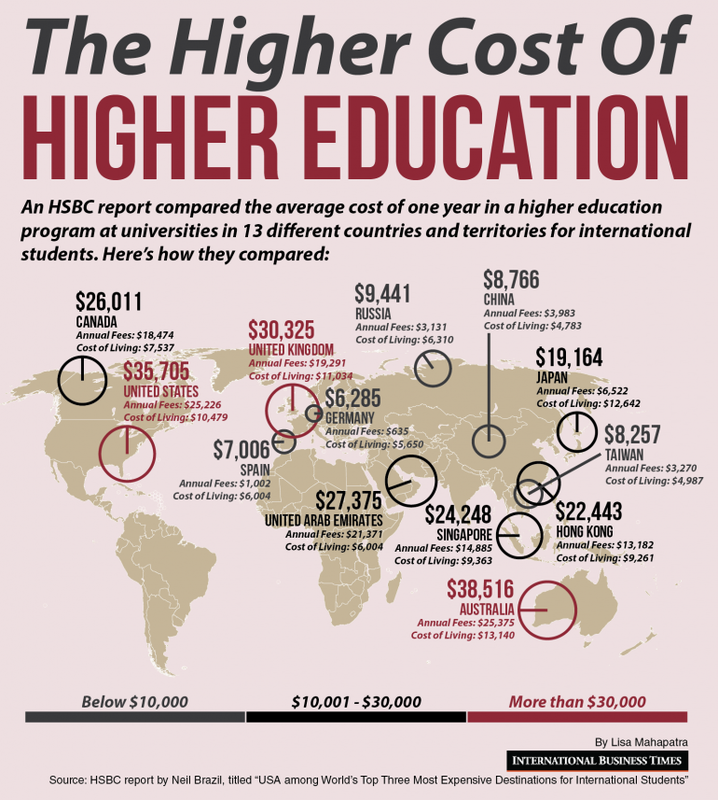 However, due to cost factor, the trend has changed and Malaysia students are now looking beyond these countries. The above situation has resulted with the mushrooming of numerous education placement agents in Malaysia to study in Russia, Indonesia, Bangladesh and some Eastern Europe countries where cost of tuition fees is reasonably low and affordable. Recruiting and assisting students in securing a place in overseas universities is fast becoming a trend not just in Malaysia but everywhere around the world. With the full-fledged services, parents and students will have a peace of mind as all necessary preparation and arrangement to study in overseas are provided by university placement agent. Sad to mention that further education in China is often out of the radar screen and overlooked by many Malaysian parents and students due to misunderstanding and wrong perception. In the last 10 years, further education in China is gaining momentum internationally due to its high education quality with an affordable tuition package and the introduction of English medium degree courses like medicine, engineering, business studies, law and etc . In addition, many universities in China have been gaining world ranking reputation with the help, support and commitment from China government to make China as the top destination for higher education in the world. From nowhere in 2001 as a host country of study destination by international students, China now is a hotspot for international students for further education. 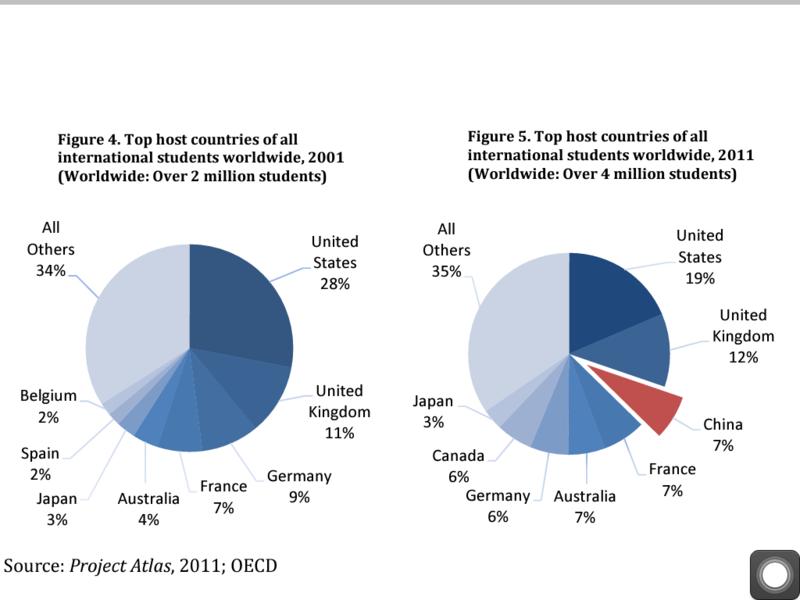 In 2011, China had 7% market share of 4 million international students worldwide studied in China. 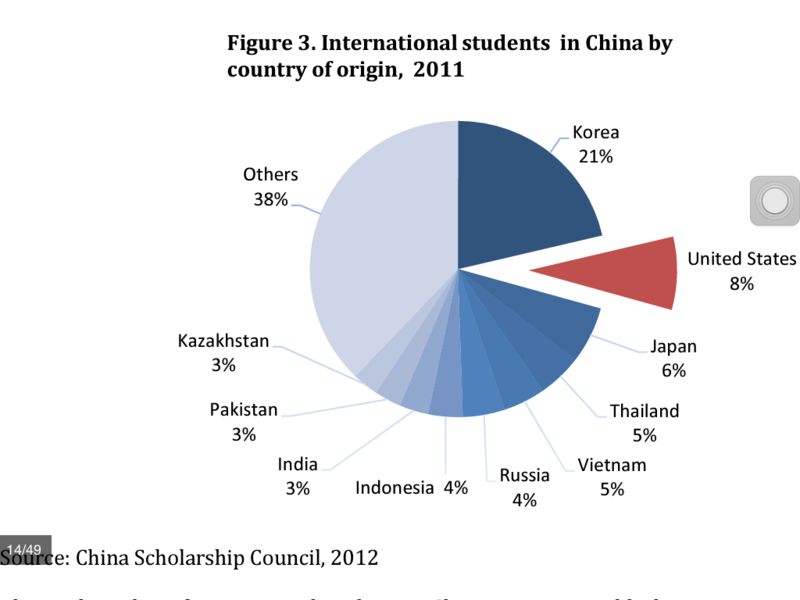 In 2012, China is the home of 328,000 international students. Korean students made up the bulk of the international students studied in China with 21% and came in second were U.S. students with 8% . China's goal is to achieve half a million international students within the next two years. International study in China is the 4th cheapest country in term of overall cost among the 13 high performance countries in higher education. For tuition fees, international students study in China paid an average of USD3,983 per annum for tuition fees. For living expenses, China offers the lowest living expenses among these countries with a yearly average cost of USD4,783. Study in China is a window to the world. China has established educational cooperation and exchange relations with 59 countries around the world and regions such as France, Great Britain, USA, Russia, etc. signed many mutual recognition of academics degrees agreement. China is also home to many of world Fortune 500 companies that set up their headquarter or regional center in order to gain footing in the world market share. Malaysia is the latest country to ink the mutual recognition agreement with China in April 2011 and this will set to boast the number of Malaysian students to study in China. The rises of China in international arena and became the world 2nd largest economy power house after U.S. will set to add impetus and attract more international students to study in China. With the awareness programs and promotional activities put in place to promote further education in China, there is a potential huge untapped market to help Malaysia students to study in a country that offers high quality education to realize their dream. Here is the story of "Why do international students go to China?" Why not weight your option and consider to make China as your study destination to pursue your Pre-U or tertiary education? By choosing China to spend your memorable years of university life, you are on course to enjoy the best of both worlds in China - high quality of education with affordable tuition fees; wholesome campus with fulfilling campus life!